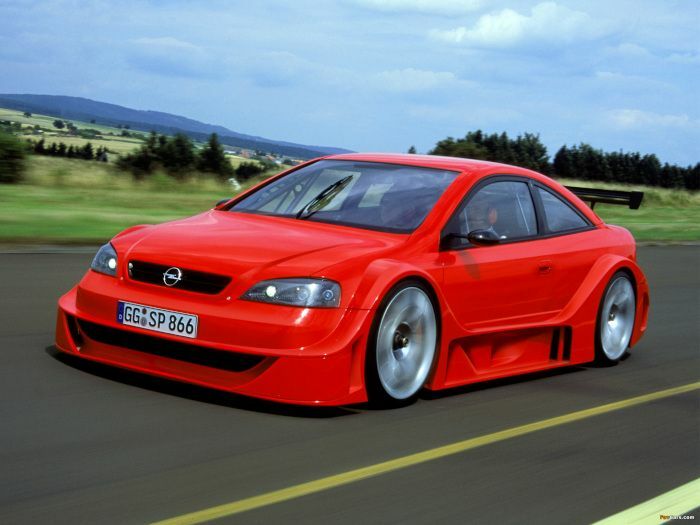 Opel introduced the new car in 2001 at the international auto show (in Geneva), where the premiere of the new supercar prototype was celebrated, based on Opel Astra G Coupe. The new model name also carries a solid message, with X-Treme (Extreme) name. The name of the study model, the Astra Coupe model series name was added to OPC X-Treme, from which OPC (Opel Performance Center) stands for Opel sports model development department. the most recent Opel sports models have recently been marked by the OPC marking, but the new high performance sports models are already awarded the old GSi mark. The new prototype car got the sport technology, with which you can already travel in everyday traffic. 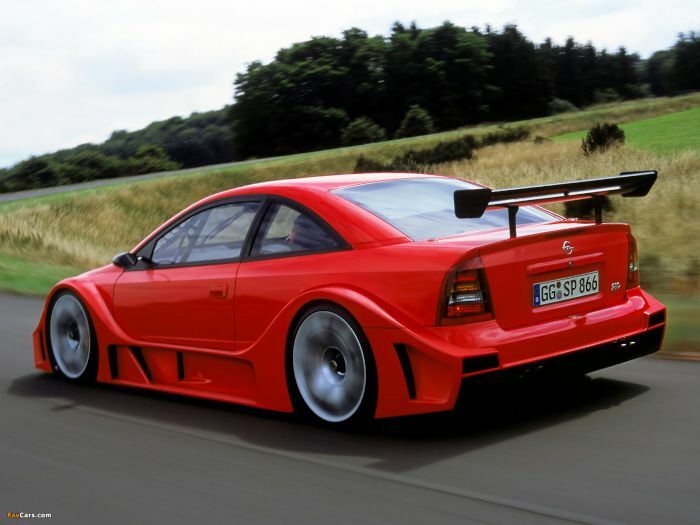 After the conversion, the OPC X-Treme became two seats “athlete” from Astra Coupe V8 race car, which has successfully fought in the DTM (Deutschen Tourenwagen Master = German Touring Car Masters) race series. The X-Treme model is powered by a larger engine, like what Astra OPC models use. However, the X-Treme model uses a 4.0-liter V8 engine, which produces 326 kW (443 hp/437 bhp) power, and 530 Nm peak torque (4 800 rpm). Thanks for the great performance, less than 4.0 seconds acceleration (0-100 kmh/0-62 mph), and its top speed reaches 300 km/h (186.4 mph). The high power is transmitted to the rear wheels via a 6-speed sequential gearbox. The optical marking of the Astra Coupe OPC X-Treme model, the bright red polish and winged doors, which facilitate boarding into the passenger comprtment and gas struts are kept, like the tailgate door for 3-doors, 5-doors, and estate models. The Astra supercar length 4 290 mm, width 1 850 mm and height 1 290 mm, and for these, the 20-inch rim is the perfect way to get the perfect look, which are fitted with 265/30 ZR20 front tires and 305/25 ZR20 rear tires, which provide excellent grip. The X-Treme model was based on the Astra Coupe, presented in 2000, which has received significant changes in the DTM Series, what the street X-Treme version has got. Thanks to the changes, the X-Treme model would be 25 cm longer, 14 cm wider and lower by 10 cm than the ordinary Astra Coupe. 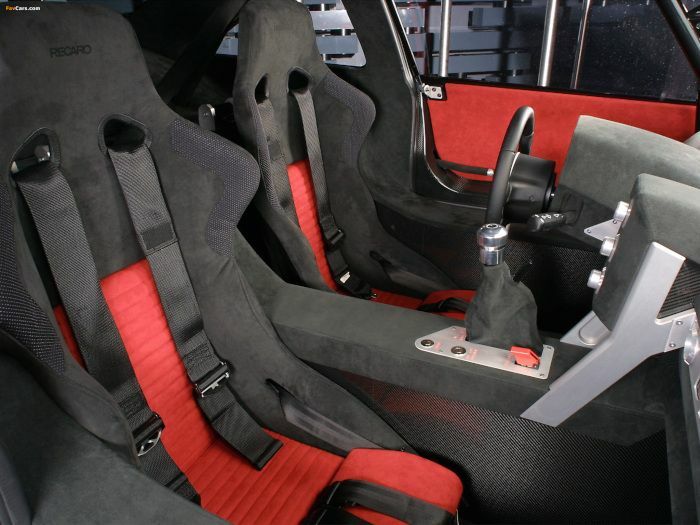 The driver and the passenger can feel in a real racing car, thanks to its interior design and appearance. The dashboard and details of the passenger compartment recall the racing car with simple look and the most important tools, however the interior has Alcantara leather upholstery. The sports seats provide outstanding driver and driver, and four-point seat belts like in racing cars. 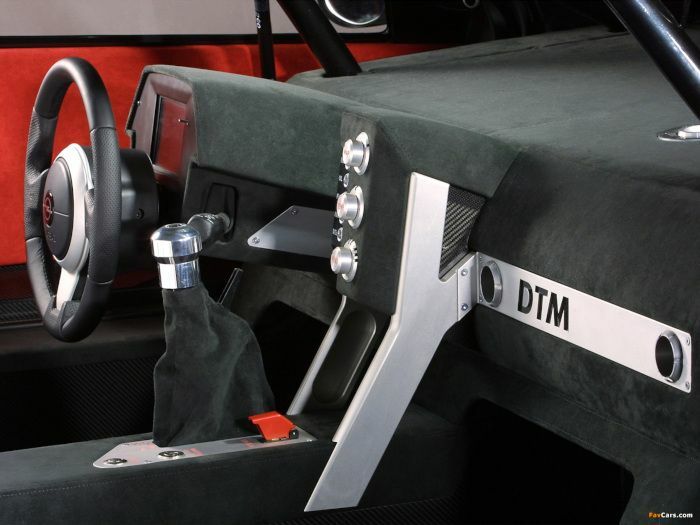 The passenger seat and accessories make it 50 kg heavier than the DTM racing version, from which also took over the chrome molybdenum boom roll bar. The chassis and suspension provide the spirit of sport, thanks to the front and rear double wishbone suspension, used in sporty street models like the Honda Accord or Mazda 6/Atenza models, and the shock absorber is fully adjustable. The Opel Astra Coupe OPC X-Treme also has high performance brakes for outstanding speed, which use ventilated discs on all four wheels. The front brake discs are 380 mm and rear discs 340 mm in size, which are slowed down by six piston calipers, for excellent braking power and fast brake pedal response.